There’s no denying my heart is in many ways left in Europe. From the moment I stepped foot on the continent to my first time biting in to a croissant in Le Marais, there are so many times I have scattered pieces of my heart around this continent and I’m convinced it is always calling me home. 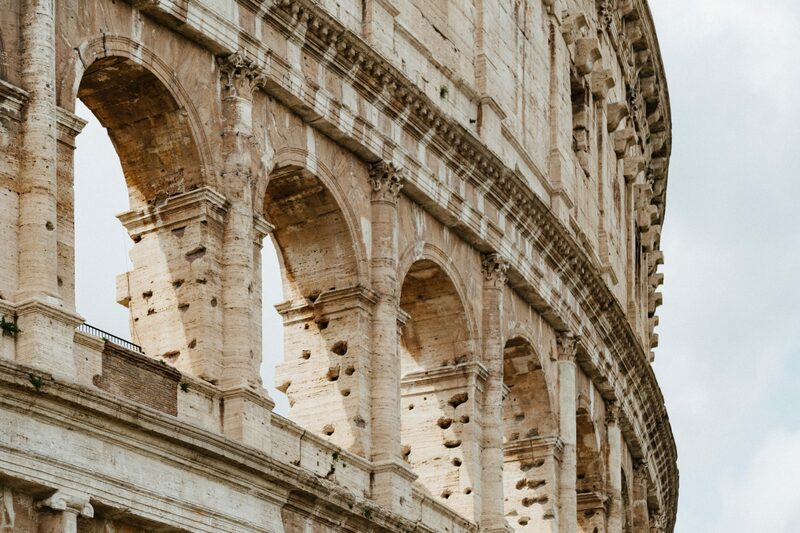 Europe is full of fascinating cities – from capitals like Budapest and Prague to the smaller cities of Verona and Bruges, there are so many defining moments and “aha!” moments I’ve had on my solo adventures across Europe. If you’re anything like me (I’m a sucker for a good visual) and want to see the best Europe has to offer, these are the most beautiful cities in Europe. The capital of Italy’s region of Tuscany is commonly regarded as one of the most beautiful cities in the world and after visiting a handful of times over the years, I’ve gotta say I wholeheartedly agree. 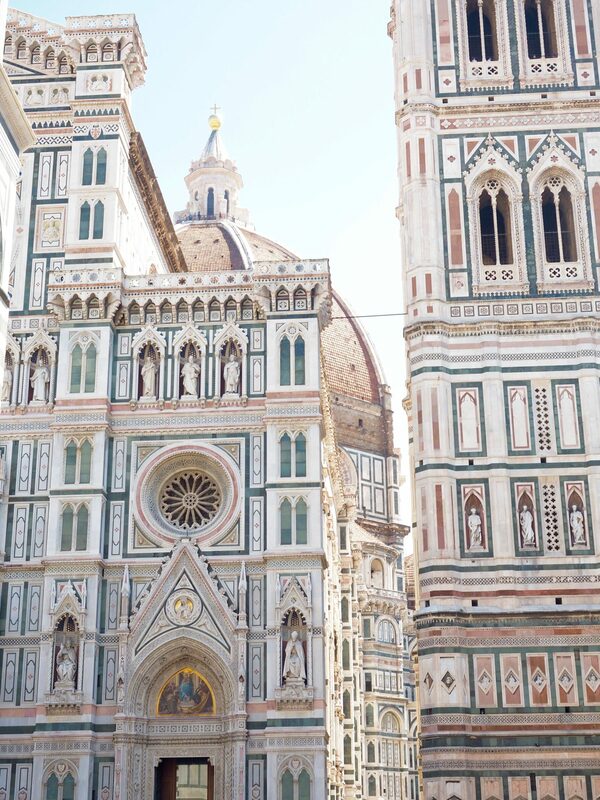 Florence is home to so much living history from the Renaissance period that you’ll be forgiven for giving yourself whiplash as you try to look in every direction and soak it all in. 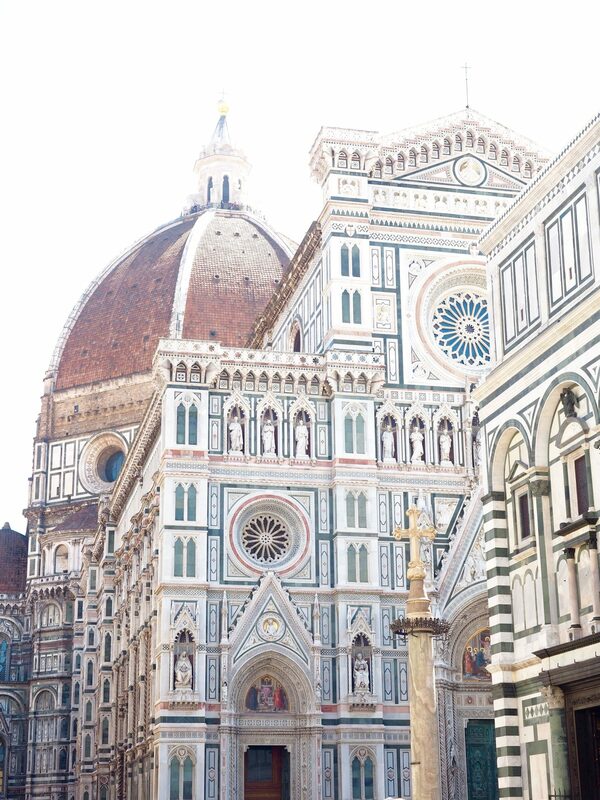 Beyond the Cathedral and the Ponte Vecchio, be sure to allow time to get off the main tourist thoroughfare and discover all that Florence has to offer by way of public parks, libraries, and smaller art galleries. 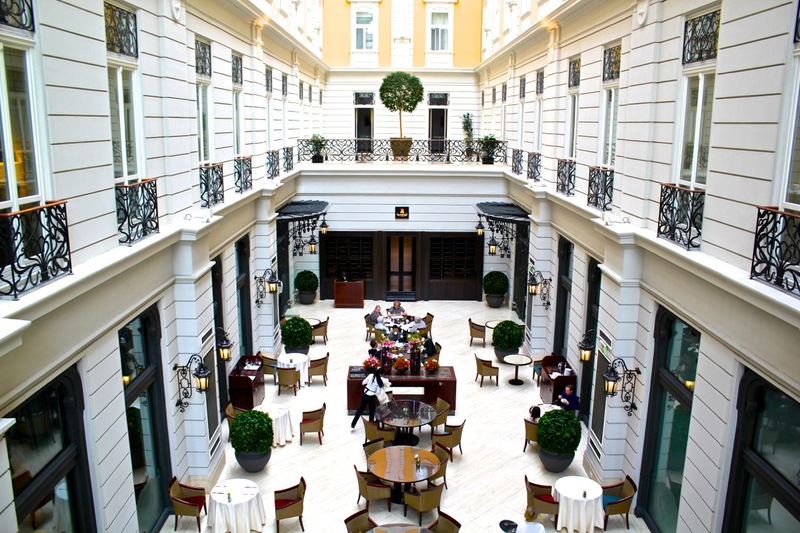 There are few cities I can say compare to the beauty of Paris but Vienna is one such city I can’t argue comes close or dare I say it, sits on par. It has been described to me as a cleaner version of the French capital and having visited both a number of times, I also can’t argue with this observation. 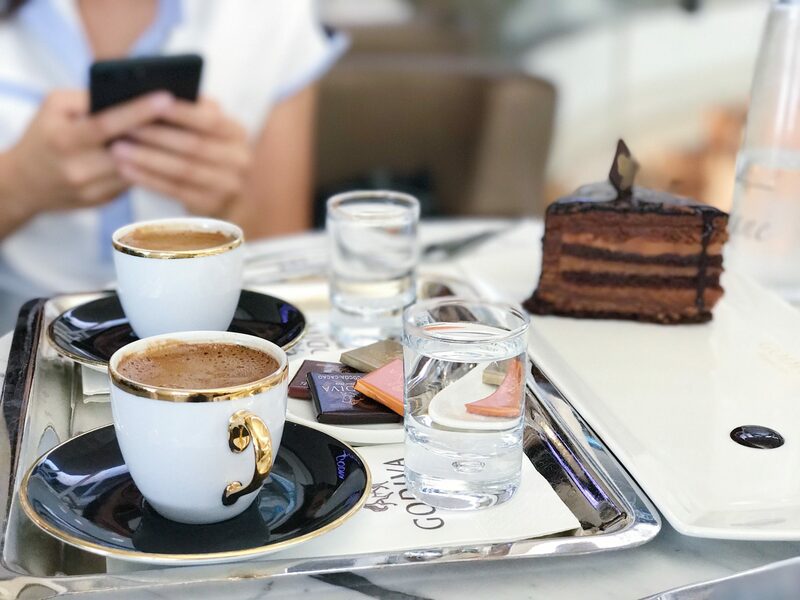 The coffee house culture is however my favourite aspect of Vienna – it has a way of transporting you to a previous era with how stuffy and old school it is, but somehow so affectionately welcomed with open arms. I’ve said it before and I’ll stand by it time after time, Edinburgh would have to be one of the most underrated cities in Europe, if not the most. There’s something so magical and ethereal about this city that wins the hearts of many (myself included) almost instantly or in my case, before you even arrive. Bonus: there are a bunch of Harry Potter locations in the city as this is where J. K. Rowling herself wrote much of her work in cafes, drawing inspiration from locations throughout Edinburgh. Prague is undeniably one of the most charming cities to visit the world over and with a unique mix of gothic, romanesque and renaissance architectures, has a beauty so unique to itself that no other city quite compares. 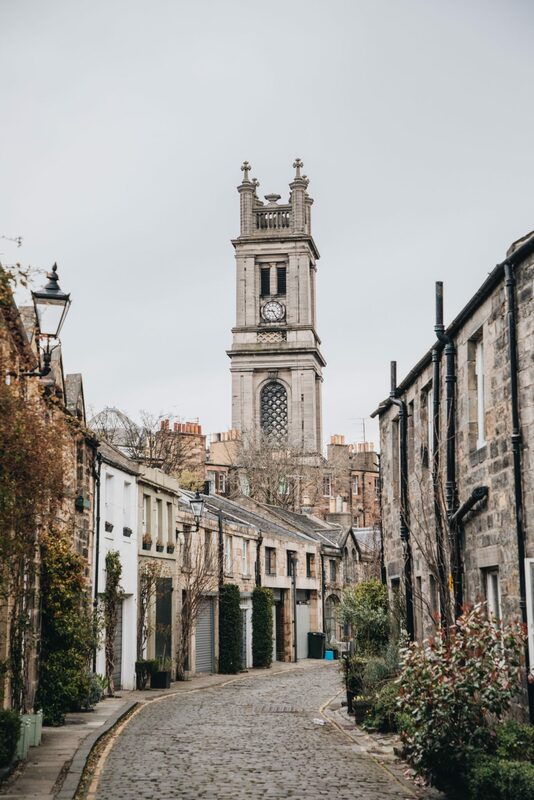 The Old Town is abuzz with visitors any time of year, so be sure to venture in to the many alleyways off the main streets and create an adventure of your own. 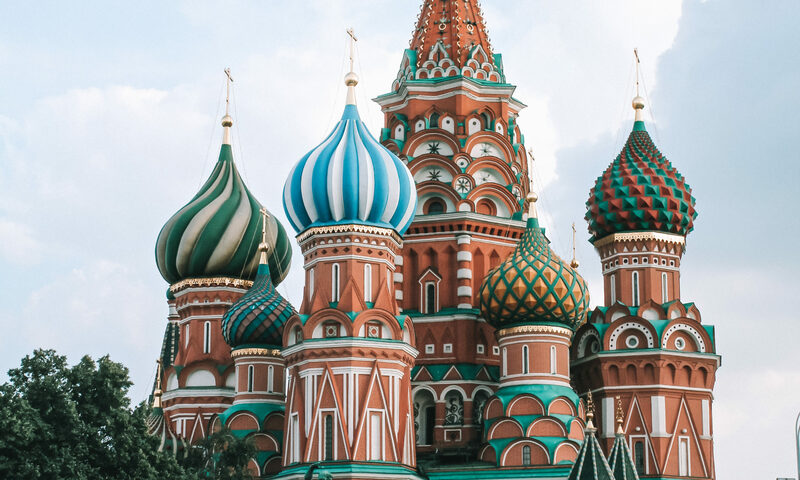 If you’ve been to Moscow you’ll know first hand how impressive and imperial this city is, despite only becoming the capital of the former USSR in 1918. 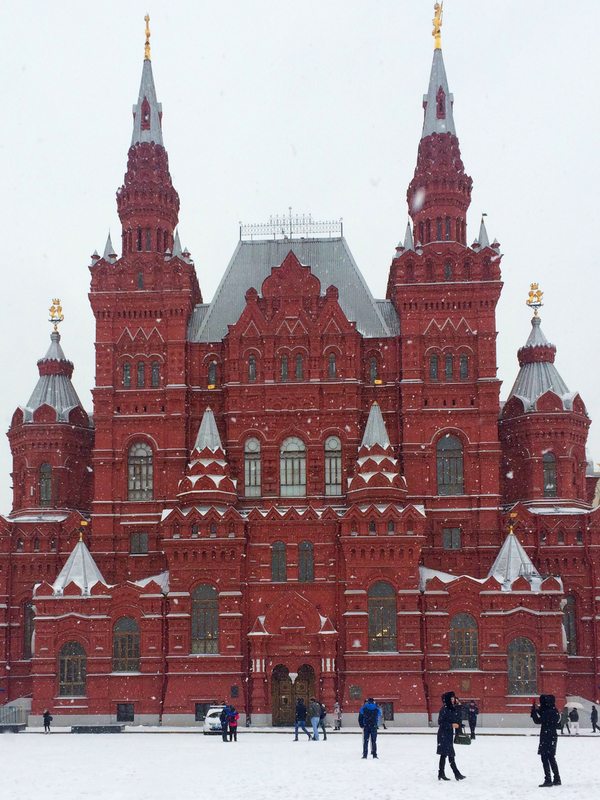 Despite this, there’s an impressive amount of history to discover throughout the capital, starting with the Red Square and of course Russia’s political hub; the Red Square. 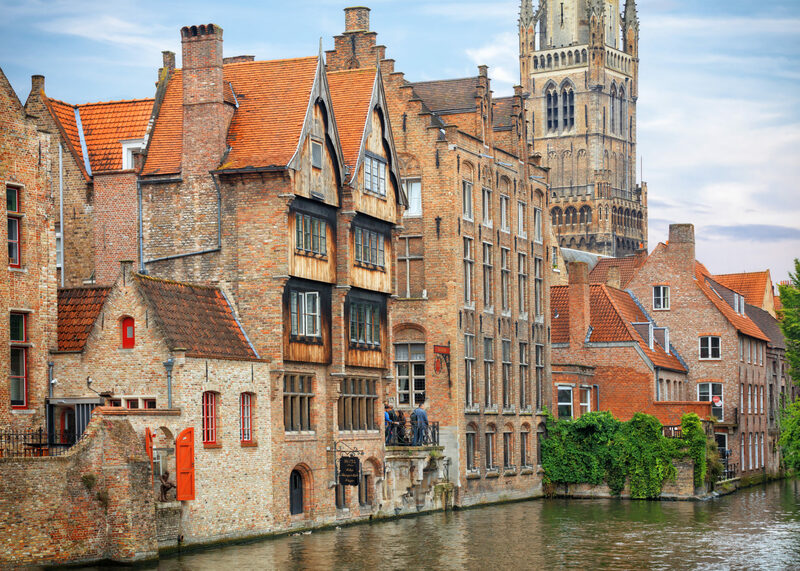 Bruges is a city so beautiful, you’d be forgiven for thinking you were in a real life story book. 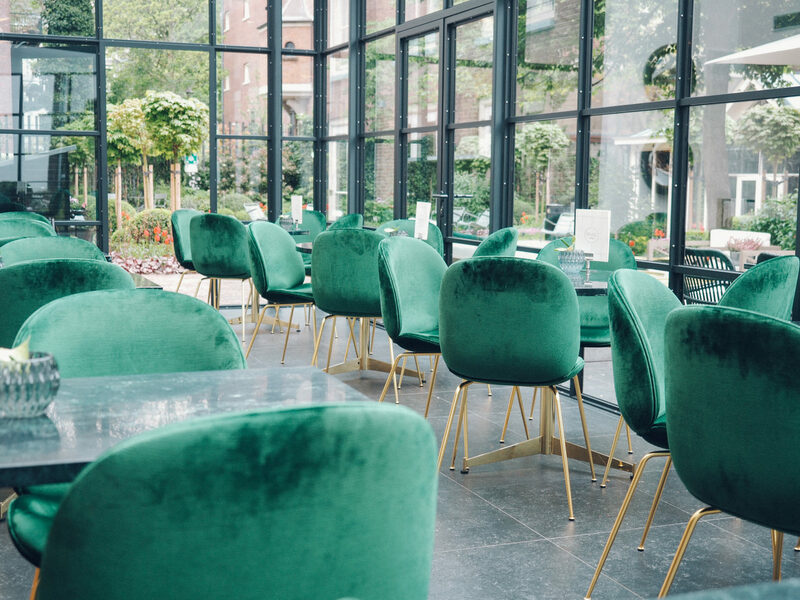 Commonly regarded to as the most beautiful city in all of Europe, Bruges’ old world charm has an authenticity that isn’t often mimicked in cities when hoards of travellers find out about its’ existence but – somehow – it is managed to retain its’ charm. When you arrive in Verona you might pass out in sheer disbelief of how a city can be so darn beautiful in such a casual, cool-girl kinda way. 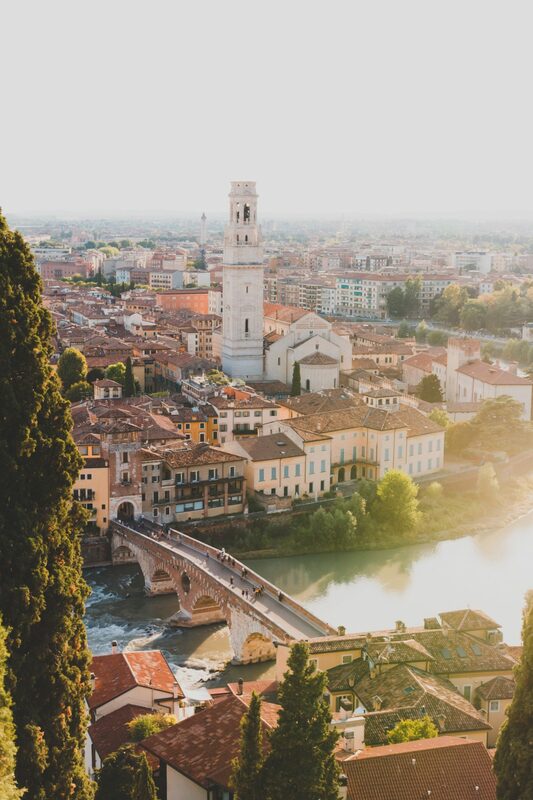 Verona is said to be the birthplace of Romeo and Juliet (contentious), however you’ll soon see how the rumour started when you spend more than five minutes in the place. 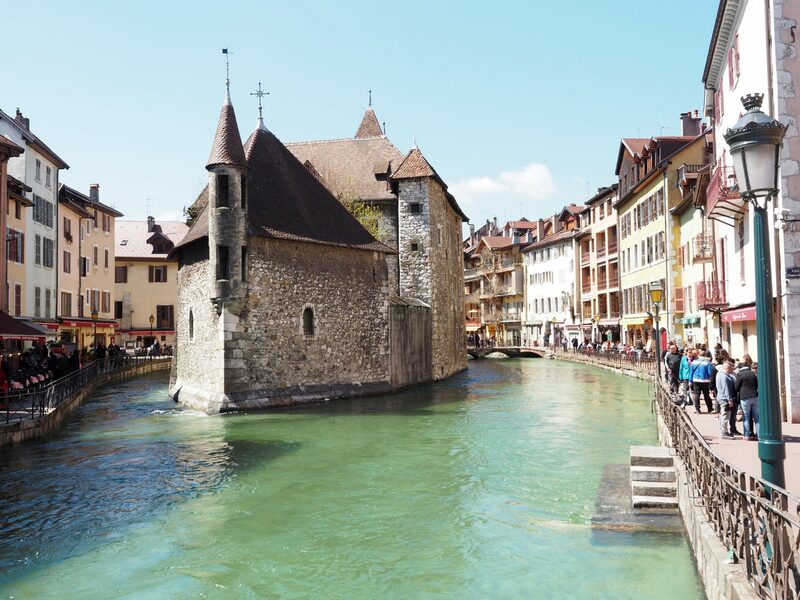 Annecy is the kind of postcard town you think wouldn’t exist in real life but speaking from experience I can say with certainty that it is even more beautiful in person (hard to believe, I know!) 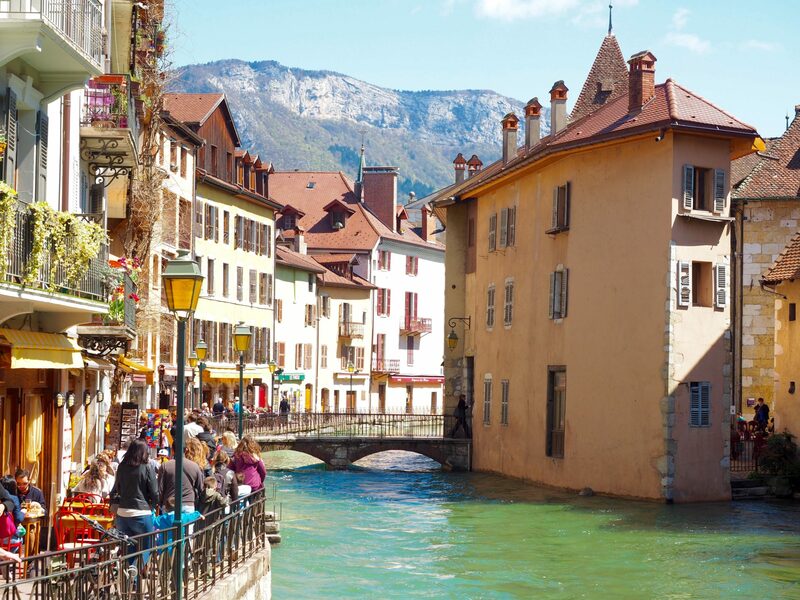 Located in the southeast of France, the city overlooks Lake Annecy, has its’ own system of waterways and isn’t far from the alps, leaving it with a pinch-me backdrop to make it even more ethereal. A city as lovely as Budapest, its no wonder the Hungarian capital has become a hot spot for travellers doing the loop around Europe. 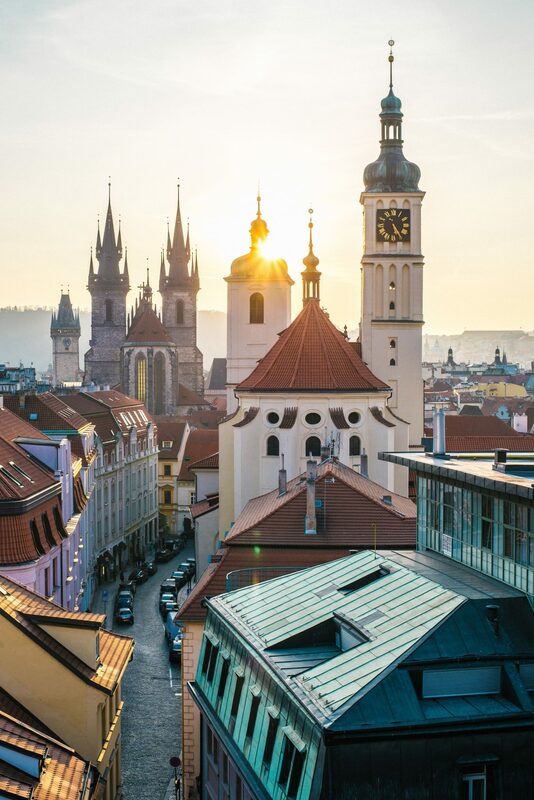 Just a three hour train ride from Vienna, Budapest is an essential stop in central Europe not only for its unique and fascinating history, but also for its grandeur and beauty that could rival even Paris. 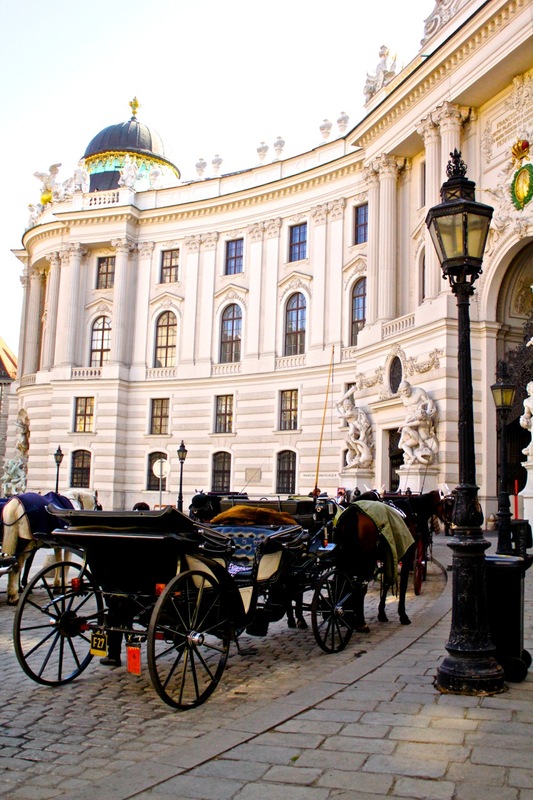 The city is sprawling but mostly walkable, as much of the attractions are centred around the Danube. Be sure to venture over the river to Buda and visit Castle Hill and Fisherman’s Bastion for the best views of the city from above. 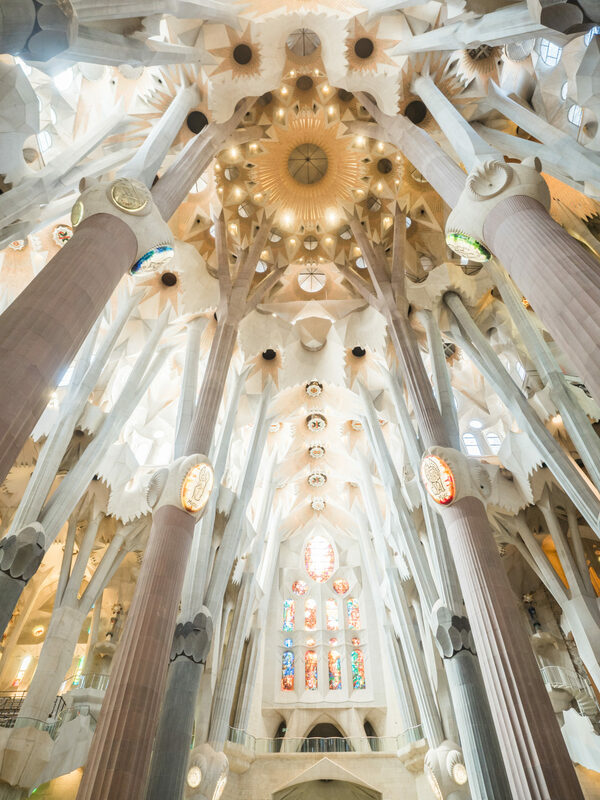 It didn’t take me long to fall in love with Barcelona, one of Europe’s most vibrant cities. 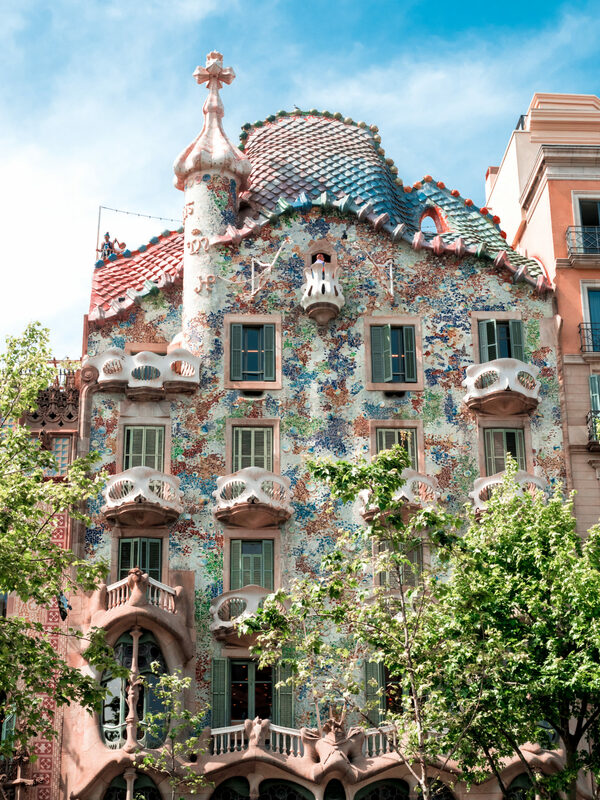 Full of colour, magnificent Gaudi architecture and some of the best food you’ll find across Europe (patatas bravas anyone!? ), there’s so much to love about this city. 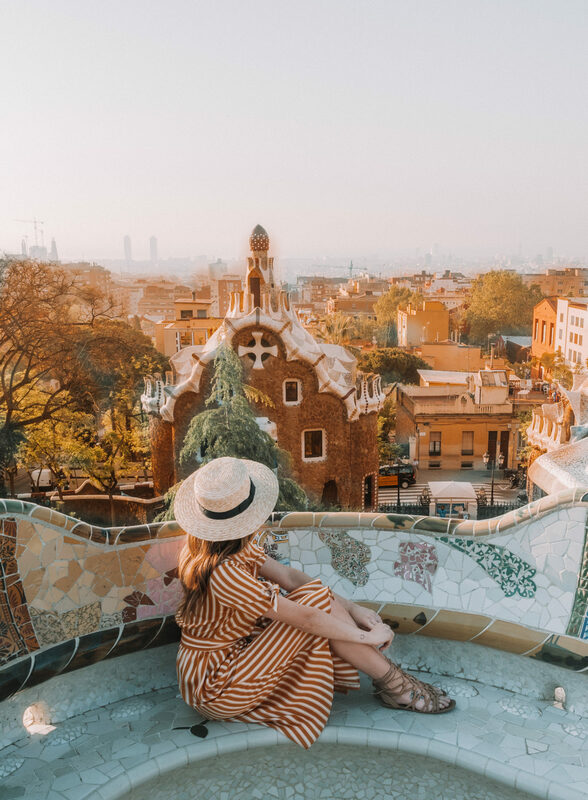 As far as beauty goes, you can’t beat the endless architectural marvels in Barcelona – its a picture perfect postcard waiting to happen. Amsterdam is one of Europe’s most visited cities and for good reason. 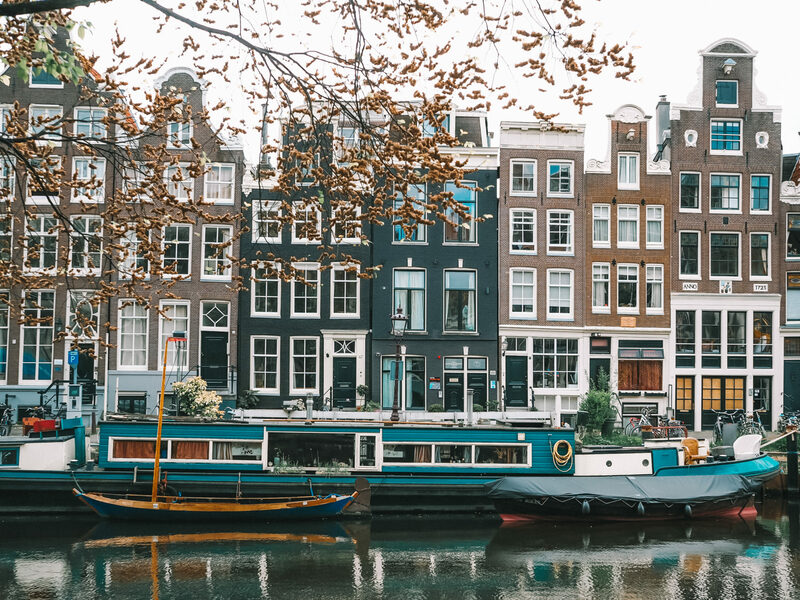 Once known as the weed capital of the world (California’s legalisation and those that followed suit has kinda dulled it down), Amsterdam has a lively appeal that attracts young travellers with magnetic force. 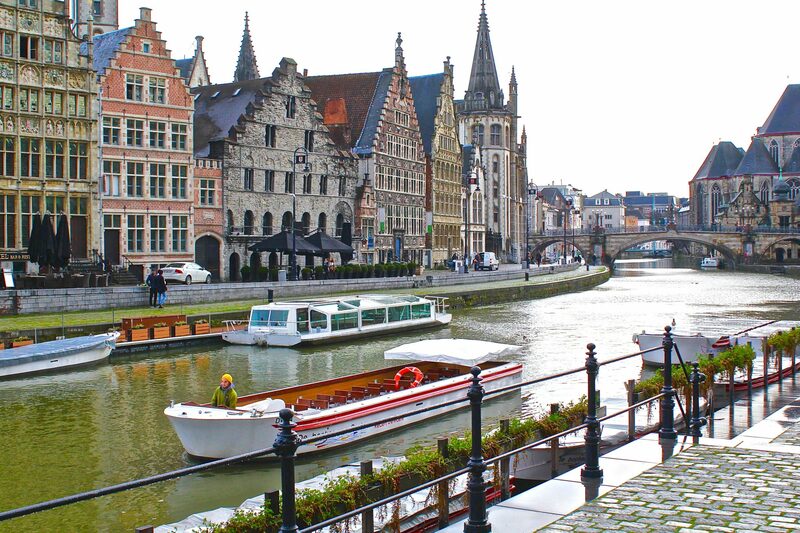 With its canals and famous canal houses, this is easily one of the most beautiful cities in all of Europe. 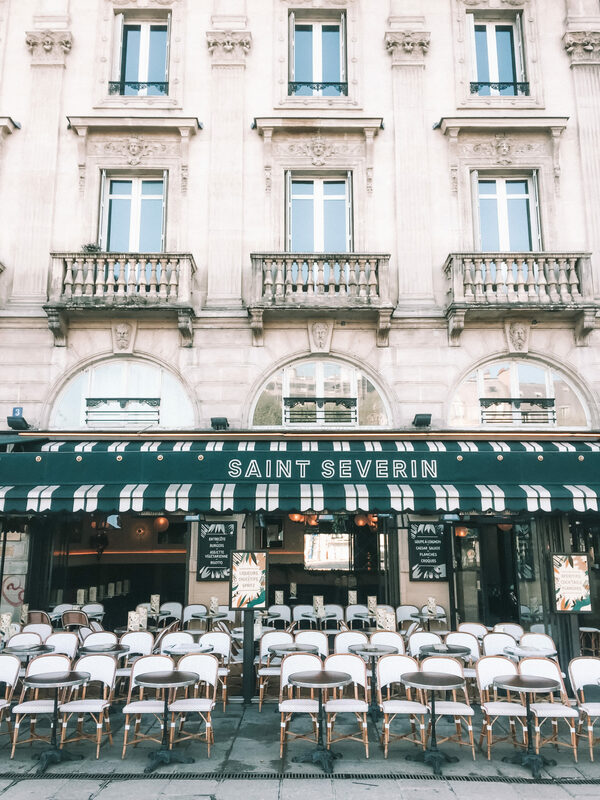 If you’ve been on this blog before, you’ll know first hand that my obsession with Paris is real. As real as it gets. 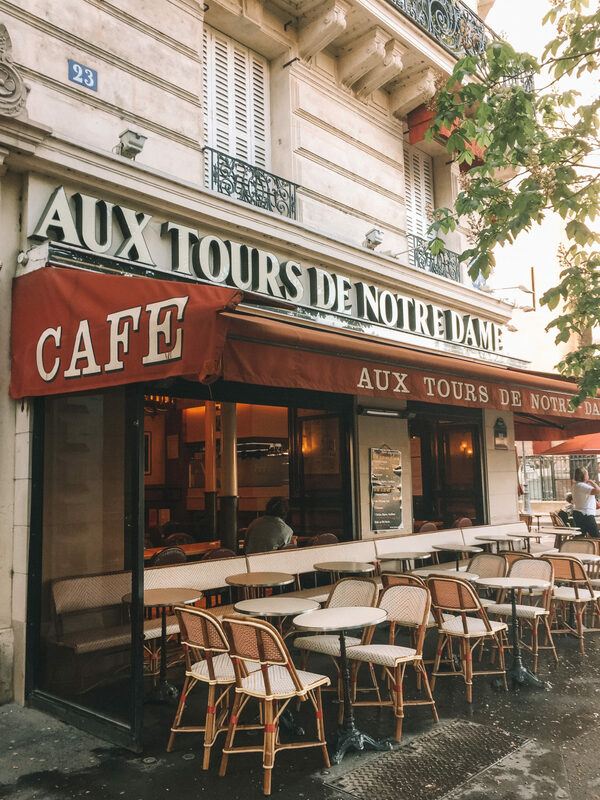 If you can see Paris through the lens of the 1950’s, you’ll fall even more in love with the city of light – full of culture, art and a living literary history through its many cafes, bars, streets and sidewalks that have appeared in the works of the lost generation. 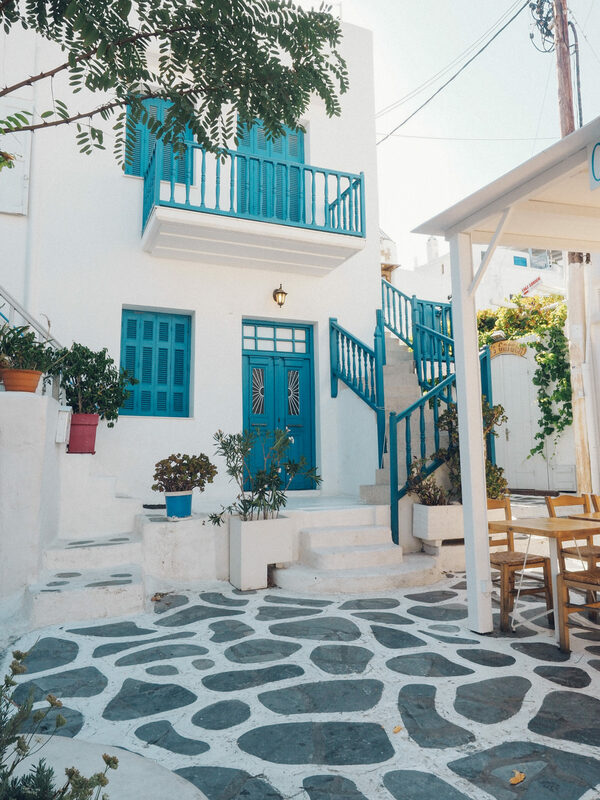 Mykonos is one of those cities I knew I’d fall head over heels in love with but for one reason or another, it took me some time before I finally visited Greece. This party centre is as fun as it is beautiful – but for the best of Mykonos, be sure to explore in the early hours of the morning before the crowds take to the streets. I didn’t spend enough time in Malta but I’m itching to go back. This country is full of beautiful architecture, an impressive history, and some of the loveliest locals you’ll meet – they are proud to call Malta home and they can’t wait to share it with you. 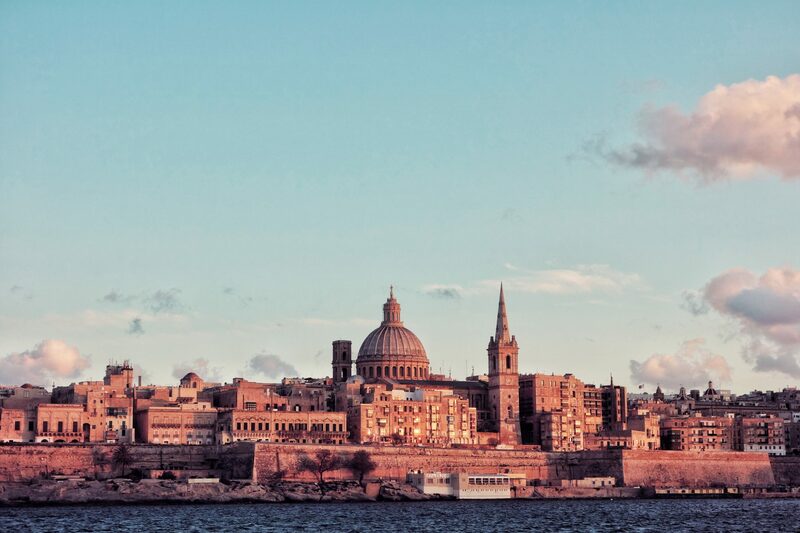 Valletta, the capital, is at the heart of this country and having been established in 1500, is as old as it looks. 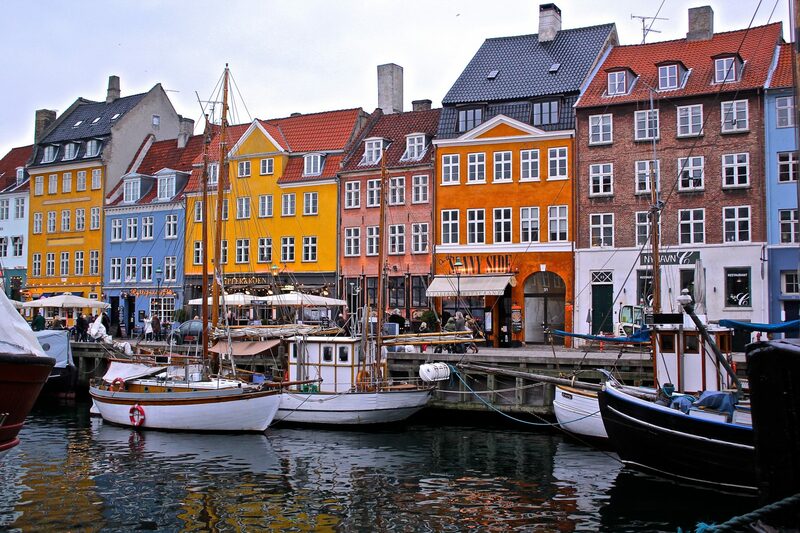 Copenhagen is one of the prettiest seaside cities and as classic as Nordic cities come. Nyhaven, the collection of colourful houses by the sea, is one of Europe’s most photographed spots and for good reason – it looks too beautiful to be real! 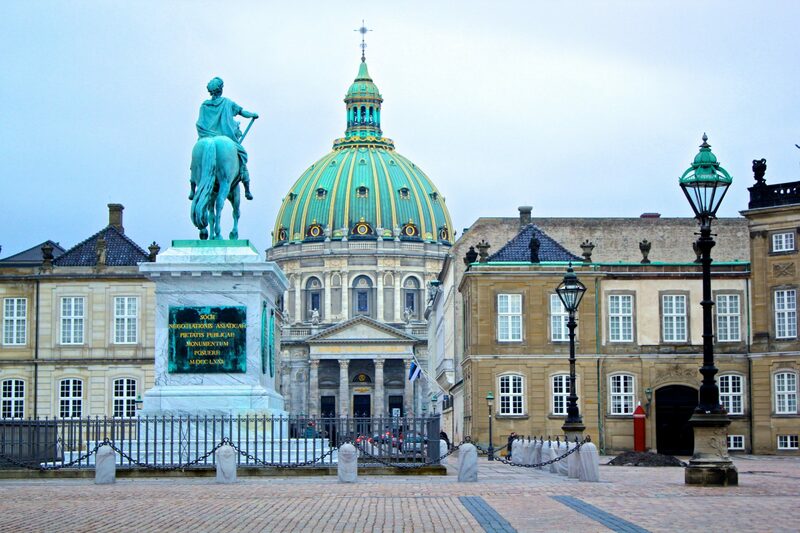 However there is much more of this city to discover when you venture in to the city streets – castles, whimsical gardens and Danish pastries are just the beginning. 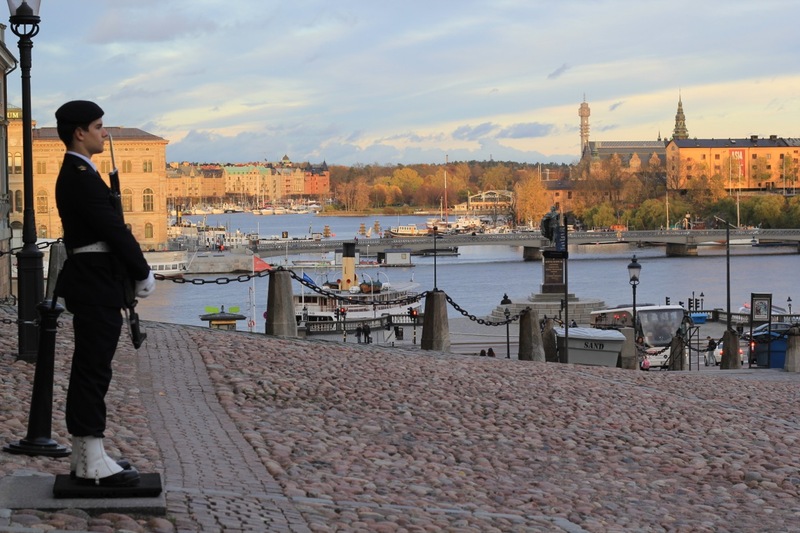 When I visited Stockholm for the first time I knew it wouldn’t be the last. 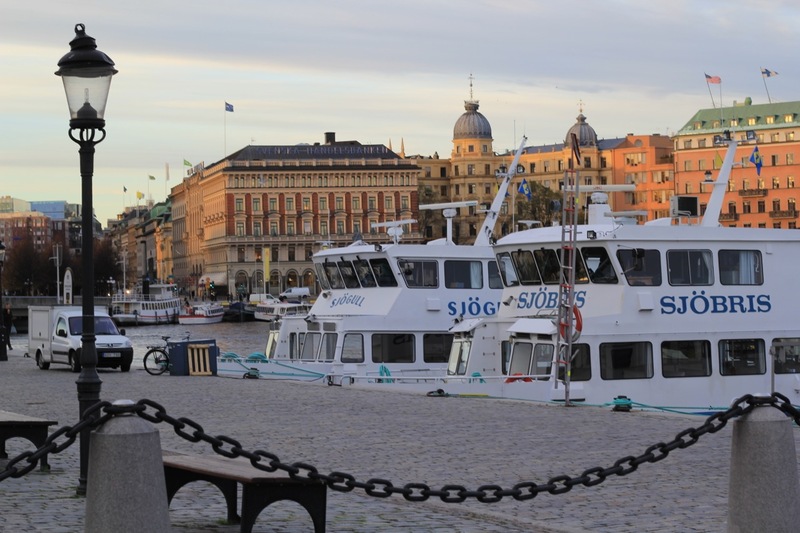 The capital of Sweden is so charming and quaint that you’d be forgiven for forgetting this is a city of almost one million inhabitants. The city encompasses 14 islands and thus much of it is surrounded by water – connected by bridges and illuminating effortlessly in the setting sun. 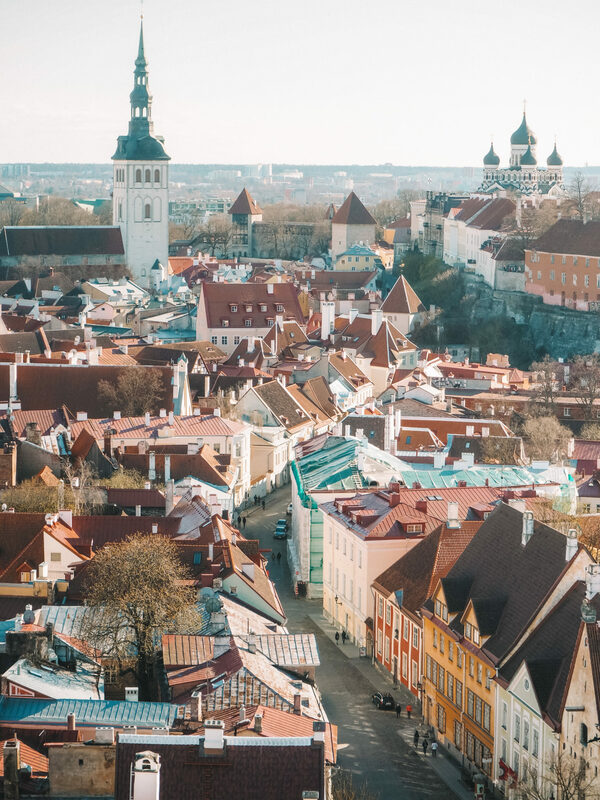 Tallinn is Europe’s fairytale town: the one and only city where you simple cannot, at any turn within the Old Town Walls, be surrounded by what feels like magic. There’s an original chemist selling unicorn dust, for a start. When you hear people talk of the prettiest city in Norway you never really hear them say Alesund. I’m changing that. Having had Bergen on my bucket list for quite some time, I was surprised to see the incredible Art Deco architecture of Alesund and stunned that I had not stumbled upon it sooner. Having rebuilt after a fire in 1904, the city has managed to retain its authenticity and charm with ease. I was obsessed with St Petersburg before I even stepped foot on Russian soil. Having studied Russian History in my first year of university, I had a lot of appreciation for the East of Europe – the trials and tribulations it faced as Peter the Great looked toward the West for change and evolution. 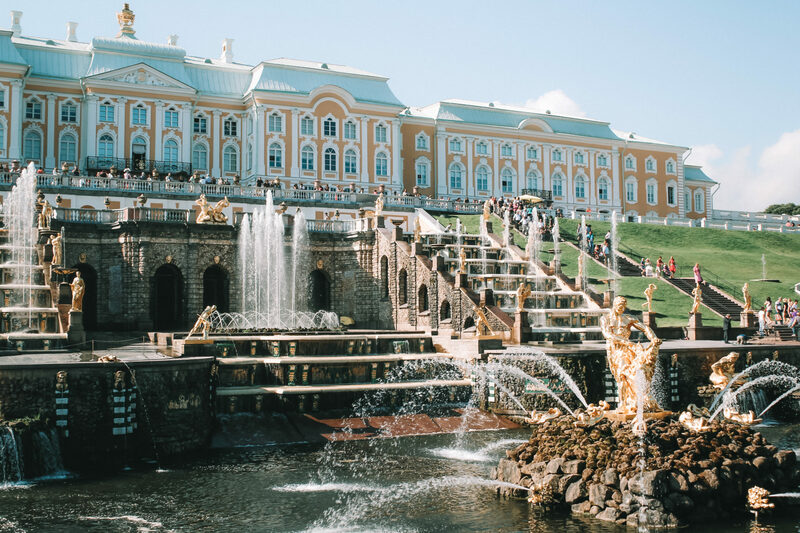 I would go so far as to say that St Petersburg is my favourite city in all of Europe and full of so much imperial and imposing beauty that I believe everyone should see it at least once. The Hermitage Museum, Peter’s Summer Palace and the canals that give this city the nickname “Venice of the North” are just the beginning. 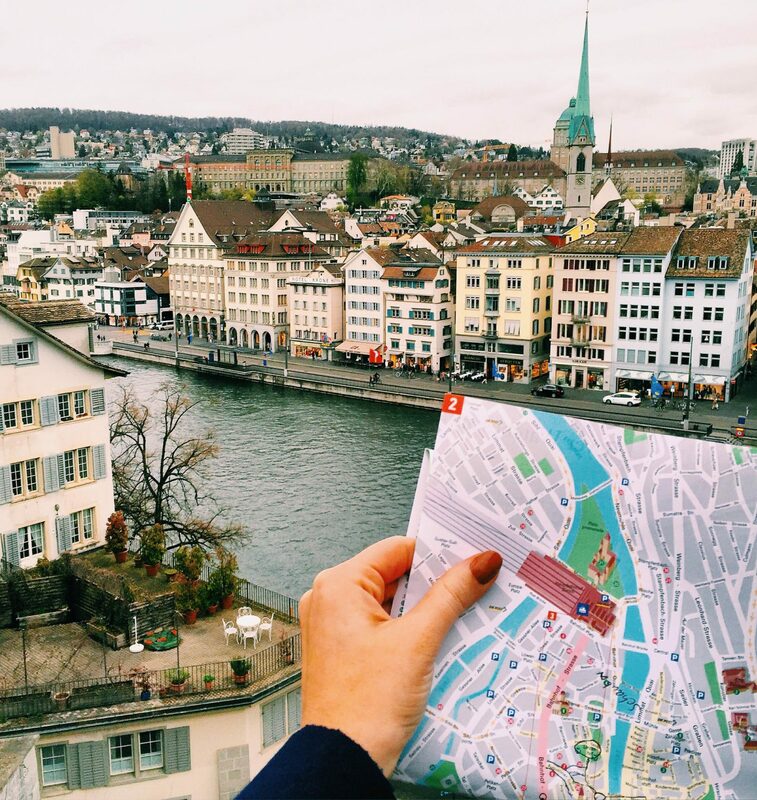 Zurich is one of the most beautiful cities in all of Switzerland and just by looking at photos alone, it isn’t hard to see why. This city if charming with an attention to detail like no other. 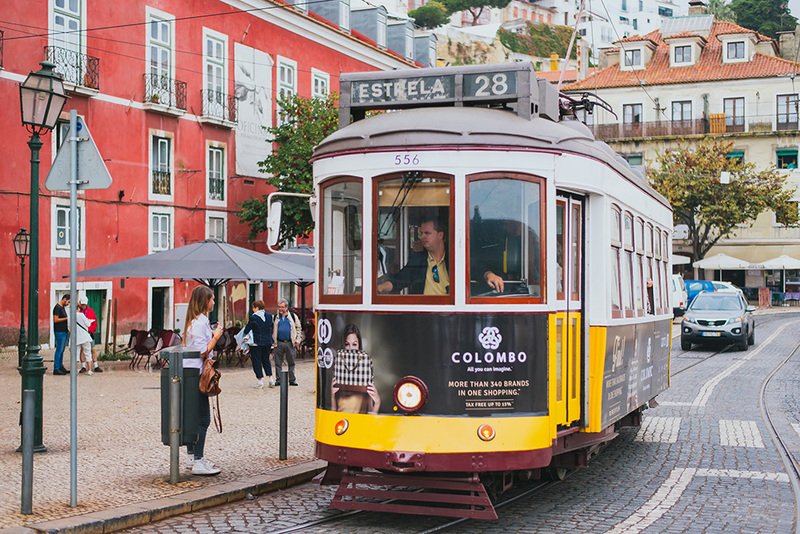 Lisbon is still one of my favourite cities in Western Europe, despite becoming one of the most popular and trending cities im Europe over recent years (thanks in part to how affordable it is!) 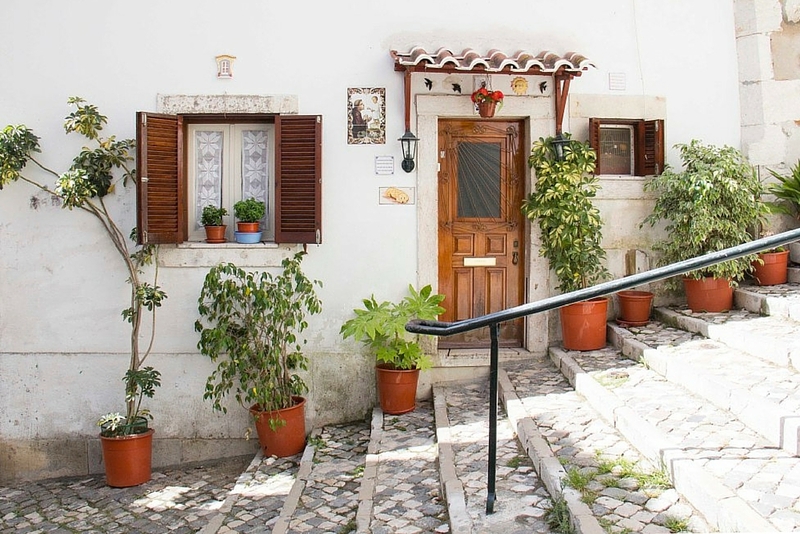 The city is bursting with colour and life at every turn, especially in the neighbourhood of Alfama. 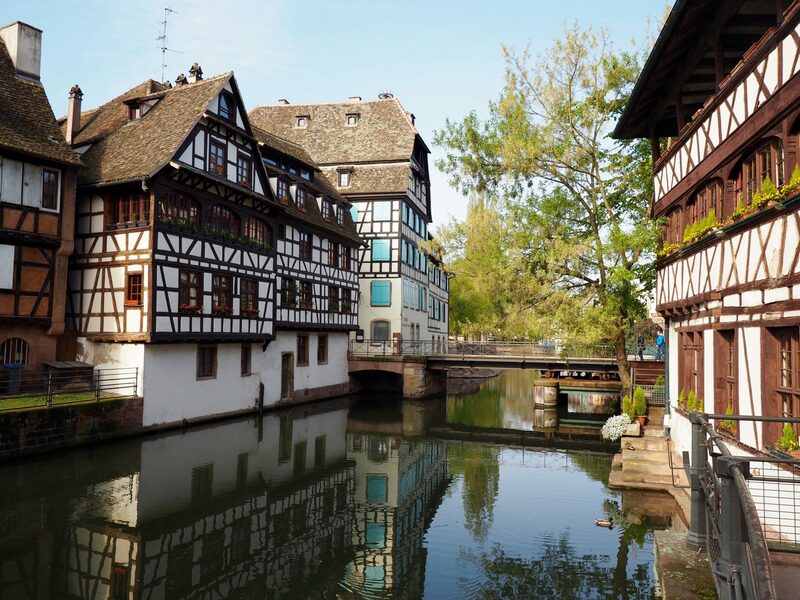 I wasn’t expecting to love Strasbourg nearly as much as I did and as such, considered it a stopover city en route to Colmar in the Alsace region. However this would have to be one of Europe’s most underrated, prettiest cities. 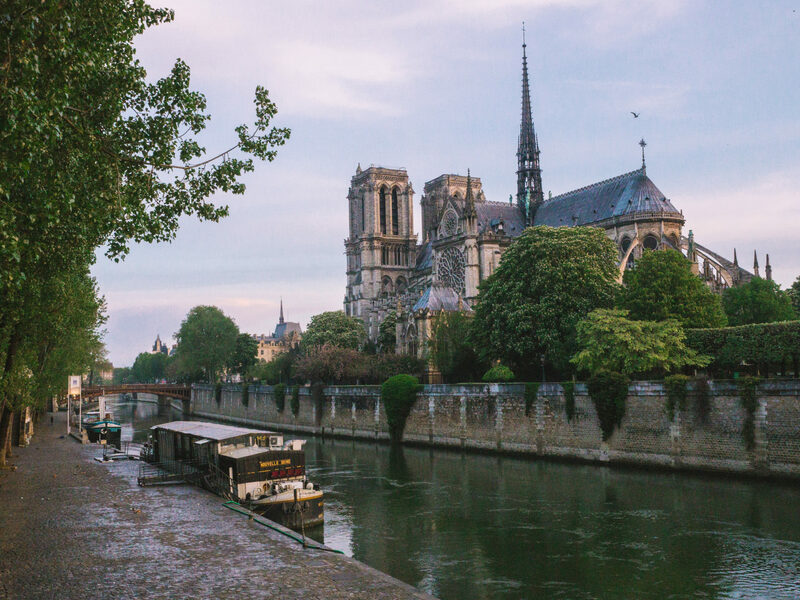 Bordering Germany, the French city has a unique blend of architecture that you won’t find elsewhere. 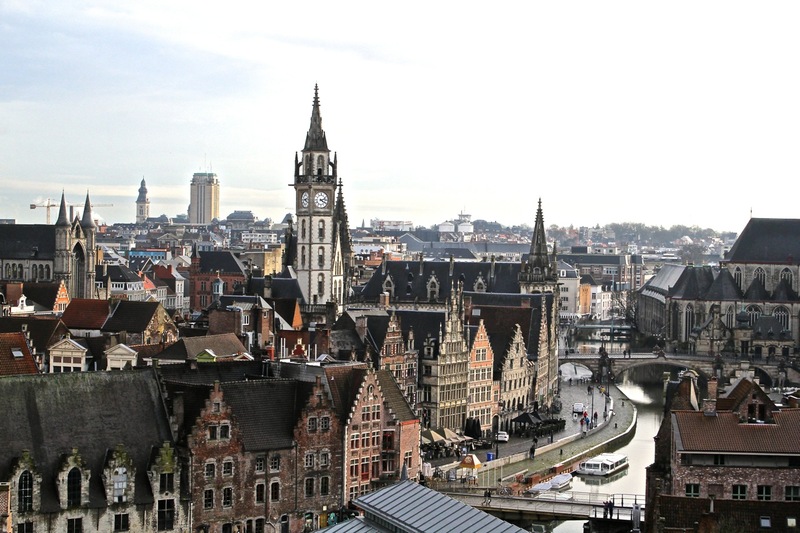 Ghent will steal your heart in an instant. 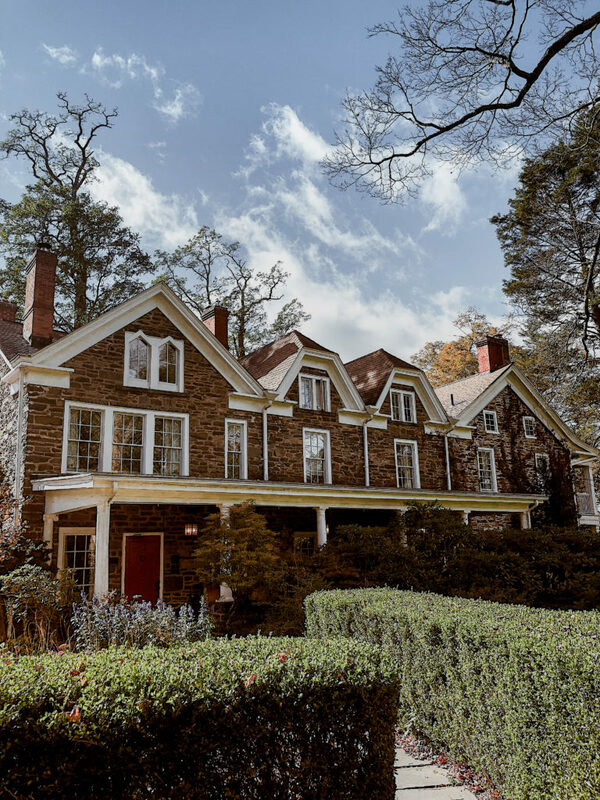 This university city is an interesting one: old in looks but young at heart, with a thriving student population that make this a really fun city to visit. 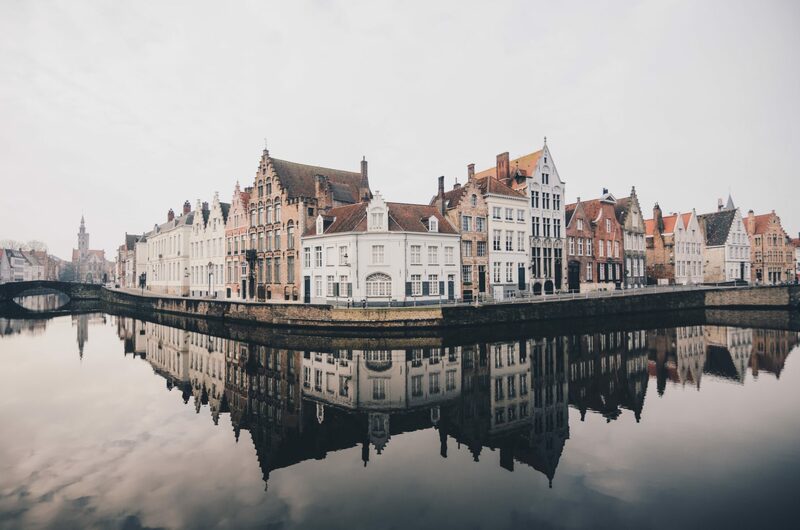 Only a short train ride from Bruges, I would argue if you’re visiting one you must visit the other: they’re both so similar but yet so different! I will never forget the first time I visited Rome. It was with my father at 17 years of age and perhaps the single-most city I remember most: every detail. We were both visiting Europe for the first time and were in awe of the history – so much so that it almost feels like a dream looking back. We spent a week exploring the sights and eating our way into a carb-induced coma and I can say with certainty there’s only one thing I would do differently: wear better walking shoes. 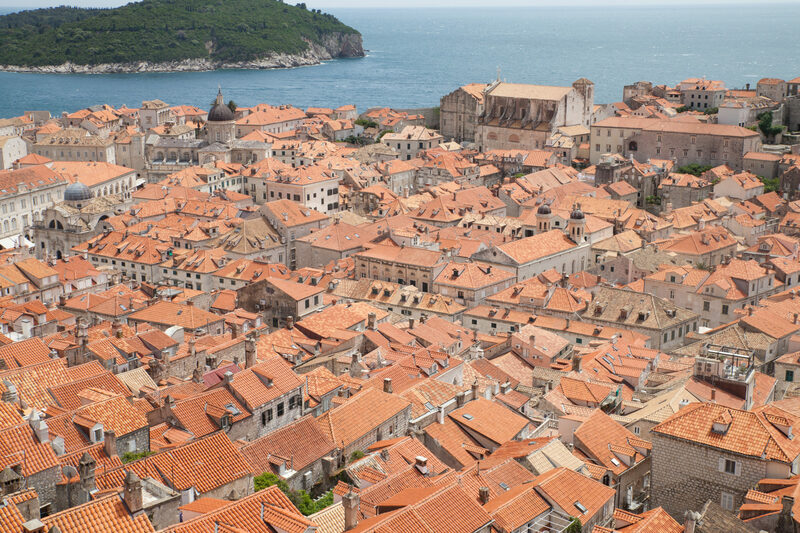 Dubronvik became really popular around 5-6 years ago and has only increased in popularity since becoming one of the main shooting locations for HBO’s Game of Thrones. 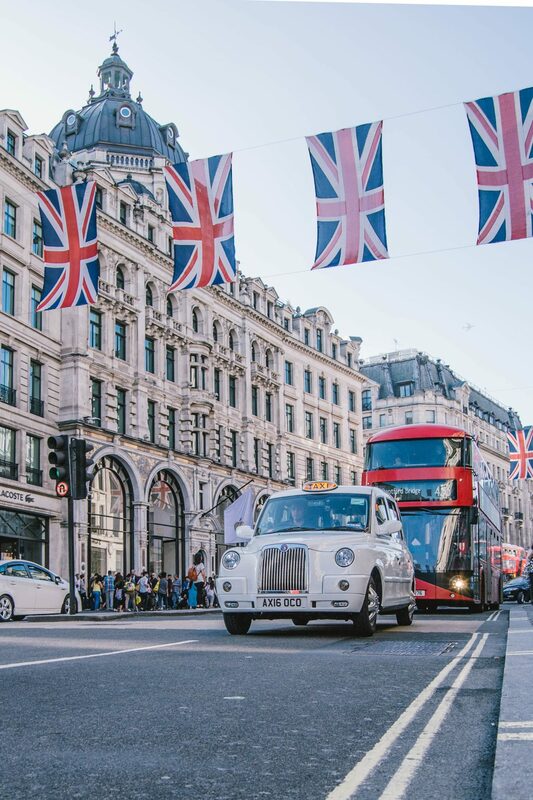 This city is as pretty as a postcard with an idyllic location on the seaside – a combination that can’t be beat! Despite being the capital, Warsaw is not the first city many travellers think of when visiting Poland. I too had fallen into this trap and considered Krakow the only city I desperately wanted to visit on my first time in the country some ten years ago. As it turns out, Warsaw is just as (if not more) beautiful to explore and has a wonderful old town that comes to life over the Christmas period. Reykjavik was much smaller than I expected but also more beautiful than I could have imagined. 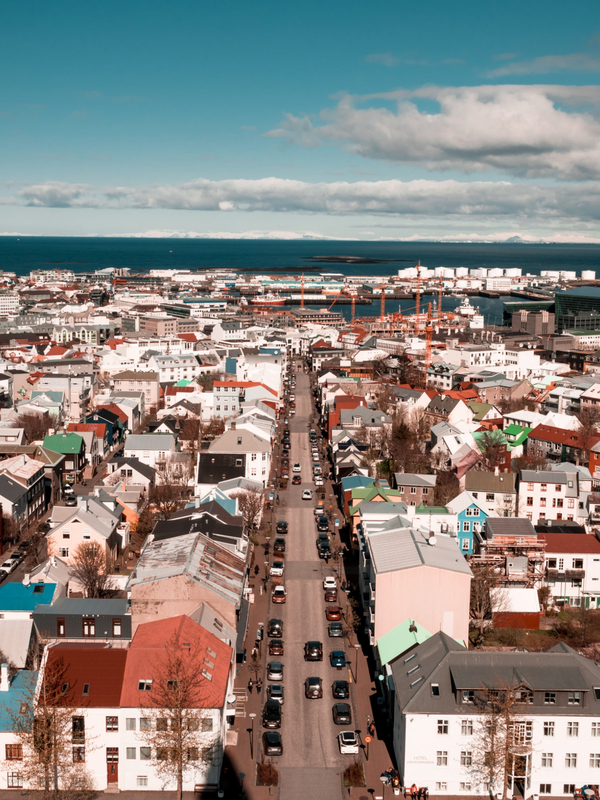 The people in particular are extremely friendly and proud of their nation, eager to learn where you are from and what brought you to Iceland. 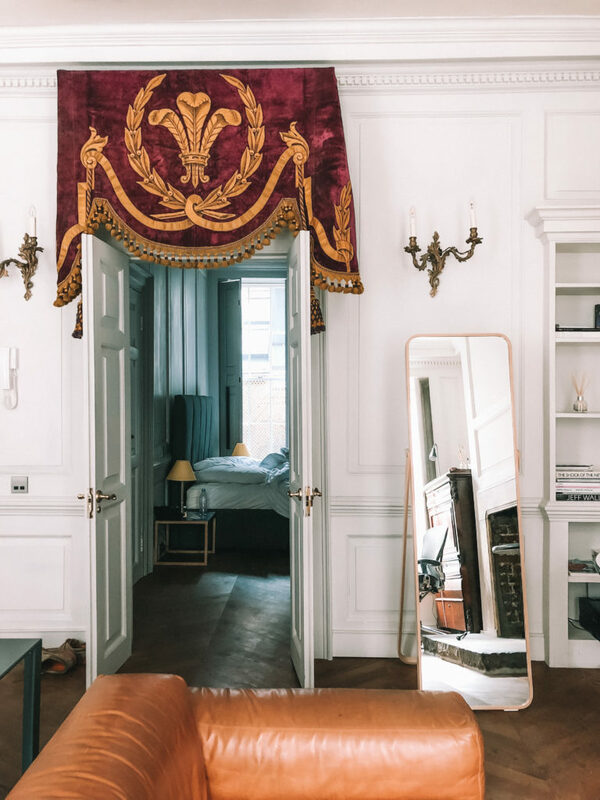 Wandering the streets on foot is the best way to get around, just be sure to allow yourself to get lost – as this is where the magic happens! 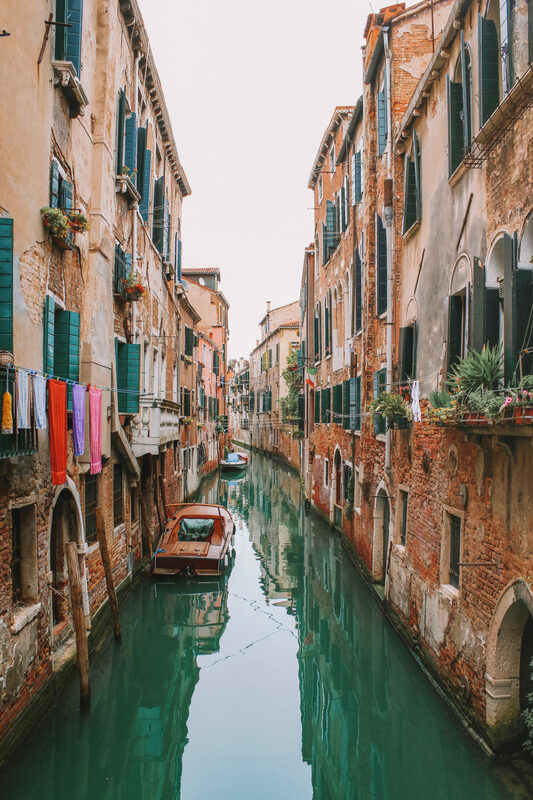 This list would not be complete without Venice, one of Europe’s most visited and sought after cities to visit. The sinking city is said to have a time limit in place, so be sure to make it a priority if you want to see it before it goes! 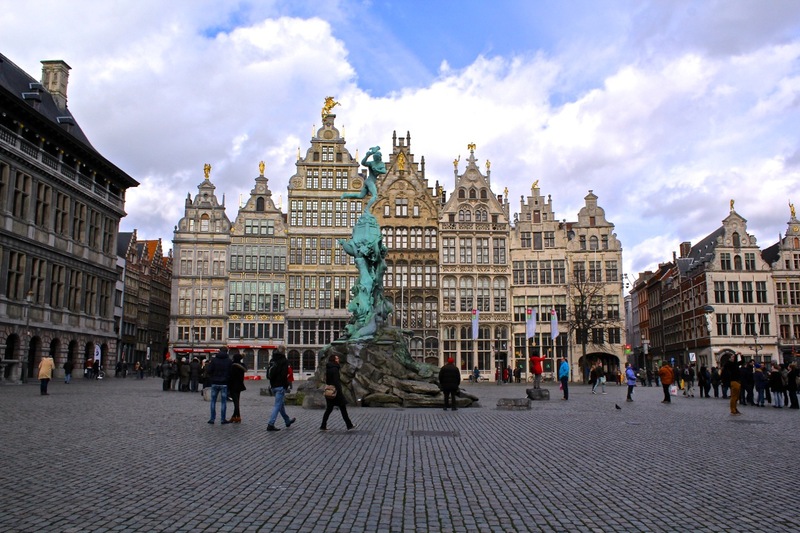 When I arrived in Antwerp I wasn’t sure what to expect because quite frankly, I hadn’t heard a thing about it. As it turns out this was one of my favourite cities to discover in Belgium: full of young people, extremely fashionable and fun to ride a bike around. The city centre is beautiful to stroll around and you could spend at least a couple of days doing just that. It’s a nice post and I was looking for this information. This will be very helpful to me. So, thank you so much for it and continue posting the similar topic. The Old World is really full of magical places. After retiring, I hope I can spend a few months just touring all these cities. Been to 12 of the 30 and come from no. 15. Drop by my shop when you are there the next time. Having been to both Warsaw and Krakow, I really disagree with placing Warsaw first. The beautiful, walkable Krakow with the castle and main square stole my heart. And, having the park running around the old town is just amazing. Unfortunately, Warsaw is just too full of Communist built concrete block buildings, despite the rebuilding of the old town. Being a University town also adds to Krakows vibrancy. At night the old town square is just magical. Give me Krakow any day. Nice list. Been to 6 in the past few years and 3 (London, Paris, Amsterdam) almost 40 years ago. The latter 3 must be very different now – haven’t been back since. 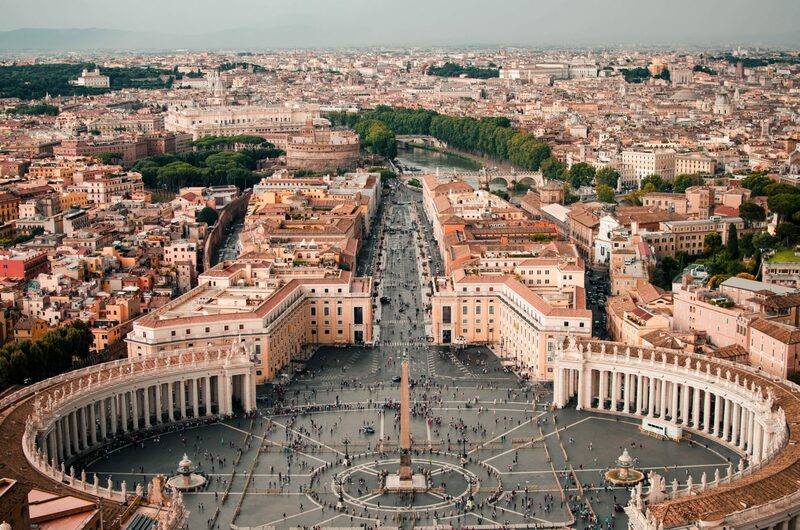 Have two must visit cities from the list – St. Petersburg and Rome. On the Baltic States, I prefer Riga to Tallinn as the former has plenty more to see, albeit is grittier. Awesome list! 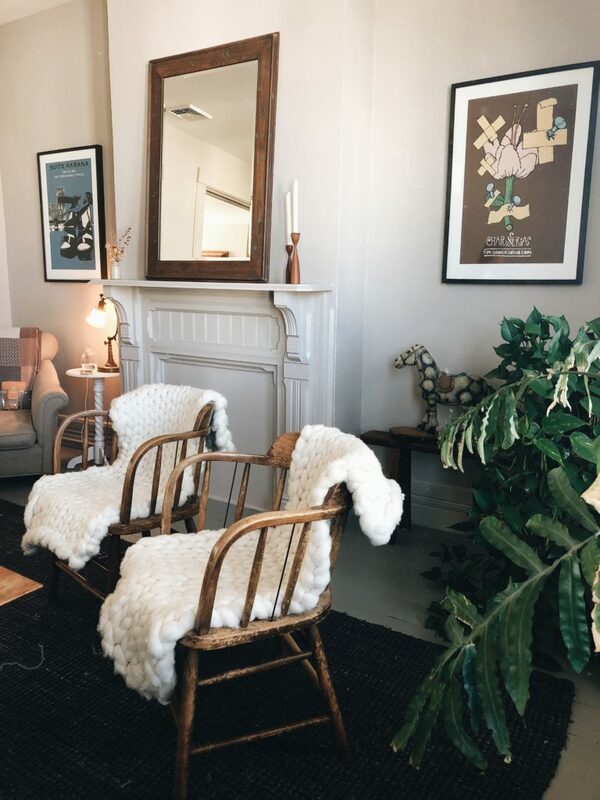 The cities we haven’t been to will definitely have to be added to our list. Although they might not be ranked higher than these, we’d add Bratislava, Slovakia and Madrid, Spain. Barcelona gets most of the attention, but while it is beautiful, we still prefer Madrid. Venice looks incredible, I’ve briefly been to Scotland but I didn’t get the chance to stop by the city. 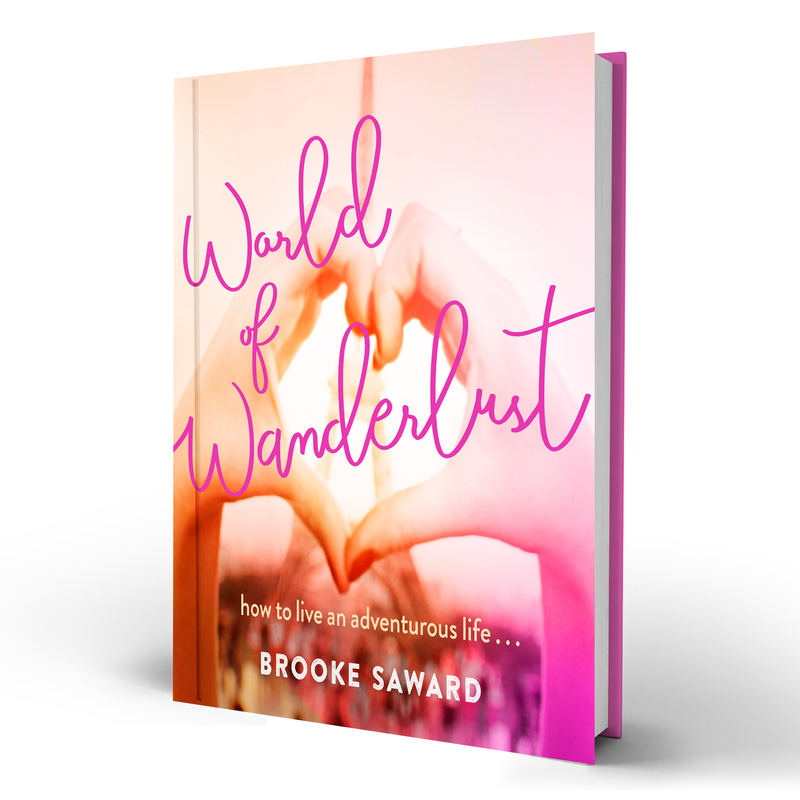 Such a great post, makes me want to pack my life up and travel!